It’s going to be an adversarial situation anyway, of course. That’s just the nature of the beast. But Stephens’ comments are a useful window into how operators are thinking about mobile video. The marginal costs of adding a new mobile video subscriber should be far lower than adding a new fixed-line subscriber, because there’s no truck roll involved and the consumer has already purchased the necessary equipment. Equally important, mobile video, for the incumbent operators able to take advantage of it, could provide an expanded base of potential subscribers and drive down per-subscriber content costs. It isn’t only wireless operators thinking along those lines, however. Speaking at the same conference, Comcast CEO Brian Roberts said the broadband giant is also eyeing a mobile video play by leveraging its extensive network of WiFi hotspots and its various mobile virtual network operator (MVNO) agreements. Roberts also returned, albeit obliquely, to the subject of mobile video in response to a question about rising programming costs and subscription fees. The incumbent pay-TV and wireless operators aren’t the only ones trying to figure out how to get a piece of the mobile video future, however. 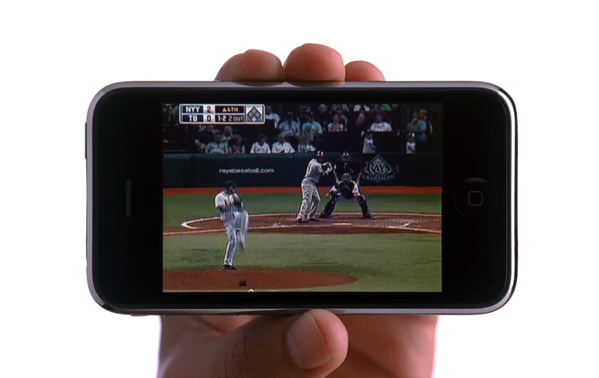 Many major content owners, particularly sports leagues, see mobile as an opportunity to go direct to consumer, rather than through aggregators, and may not make the expanded, out-of-home rights Brian Roberts is counting on available. New-entrant OTT services also see mobile as critical to their future. The FCC also seems anxious to promote mobile video as a competitive alternative to the incumbent, fixed-platform providers and could raise regulatory hurdles to efforts by Comcast, AT&T et. al. to bring their full scale and leverage to bear in the nascent mobile market. According to Ooyala’s latest Global Video Index report, 44 percent of all online video viewing now takes place on mobile devices, a figure Ooyala expects to surpass 50 percent by the end of this year, and advertising dollars are shifting rapidly to mobile platforms to keep up with consumers. So the stakes in mobile are high. But at least they won’t be fighting over the melting iceberg of fixed-line pay-TV subscribers.